The district has decided to cut back on music classes at the middle schools. On Tuesday night, the Bristol school board voted to cut back on music classes in every middle school, leaving hundreds of students and parents outraged. 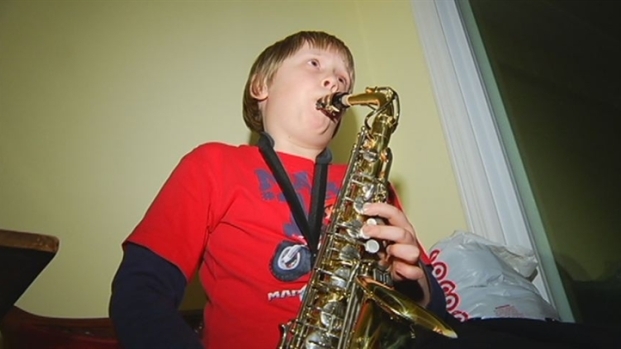 Every week, Dylan Cushing, 12, has looked forward to playing the saxophone in his band class at Northeast Middle School. For a while now, the sixth grader has been worried the district would slash classes like this. The sleepless nights did not pay off. Starting next year, Bristol Middle School students will have to choose between Art, Band or Chorus. Despite pleas from Cushing and many other residents, the Bristol school board voted on Tuesday night to cut the general music program. “Do we want to be one of the few towns in Connecticut that does not have music?” Cushing asked the board members. Starting next year, middle schools will lose 15 music classes, but the district is adding dozens of others. Students will have to take physical education and health, and they’ll have to choose between taking art, band or chorus. The problem is, many students don’t want to make that choice. “I can't even express it in words how angry I am,” Cushing said. The Superintendent said, even though so many people at the middle schools are furious over the decision, it might not hurt students as much as they might think. “Students' experience will change. I don’t think they will suffer,” Dr. Phil Streifer said. There is plenty to gain with the new requirements, he said. “Particularly for bullying, nutrition and alcohol abuse,” Streifer added. That’s not enough to convince Dylan Cushing. “I’m still hopeful they will reconsider it,” he said. He also added he might go to a magnet school instead.